House Democrats are putting together a plan to end the partial government shutdown, which does not include any additional funding for President Donald Trump’s border wall. 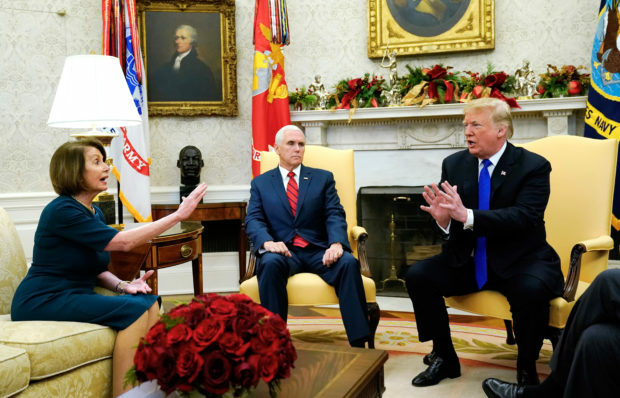 House Minority Leader Nancy Pelosi, who vehemently opposed the border wall, calling it “immoral, ineffective and expensive,” and her Democratic colleagues reportedly put together legislation that would reopen the government and allocate $1.3 billion to border security, however, none of that would be allowed to go to a border wall. The Democrats plan to introduce the legislation on the House floor Thursday, when they regain control, according to Fox News. Republican North Carolina Rep. Mark Meadows, chairman of the House Freedom Caucus, previously said he does not believe Trump will agree to the Democrats’ counteroffer of $1.3 billion that could be used for the border wall, stating he does not think the amount is “reasonable.” The government will remain shut down until a compromise can be worked out among the two parties. In the Senate, Minority Leader Chuck Schumer also continued to oppose any border wall, saying Republicans need to “abandon” border wall funding if they want the government to reopen, just less than 24 hours into the partial shutdown. The two parties will have to figure out an agreement, and the senators must be present for a vote on the Senate floor to send a bill to the president to sign and end the government shutdown. Democrats take over control of the House on Jan. 3.